Buddhism is a distinctive world religion. It lacks an 'omnigod' — an omnipresent, omniscient, all-powerful creator — and a notion of humans as complexes of physical bodies and souls that ascend to heaven after death. Could it be mingled with the scientific culture of the twenty-first century to produce a new philosophical outlook on the world, the mind and our values? That idea lies at the heart of these two contrasting books on Buddhism and science. In The Bodhisattva's Brain, philosopher of mind Owen Flanagan wants to change Buddhism to fit better with the scientific world view. 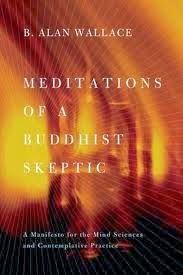 In Meditations of a Buddhist Skeptic, Buddhist scholar and monk B. Alan Wallace wants to alter the scientific world view so that it meshes better with Buddhism. Both tease out the contrasts between Buddhism and materialism — and both stumble when it comes to defining the latter. For Flanagan, the world is fundamentally physical, and thus explicable by natural science, at least in principle. But Buddhism seems inconsistent with this materialistic world view. It may have no place for a creator god or ascending souls, but as Flanagan notes, it is “opulently polytheistic insofar as spirits, protector deities, ghosts, and evil spirits abound”. He points out, too, that in east and southeast Asia, a belief in rebirth among Buddhists is as common as a belief in heaven among North Americans. So Flanagan sets out to 'naturalize' Buddhism: to see what Buddhism would look like without the “hocus pocus” (as he cheerfully puts it). 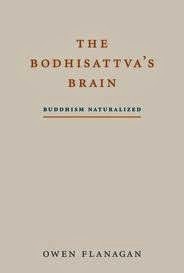 The result is a wide-ranging discussion of the neural and cognitive basis of mental states such as meditation and the achievement of enlightenment or nirvana, which are central to Buddhism. Flanagan outlines a plausible moral philosophy based on an idea that he takes from Aristotle but reinterprets in the light of Buddhist teaching: eudaemonia, a sort of happiness that, in Flanagan's view, is the proper aim of a good life. Wallace adopts a contrary view, even urging the many scientists and philosophers who embrace materialism to change their minds. His book is in part a compelling and clear statement of key Buddhist ideas, but its main point is to advocate a distinction between science and a materialist interpretation of it. Materialist science, Wallace thinks, cannot get to grips with the reality of consciousness, free will or values. 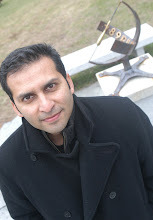 Science inspired by Buddhist experience might. In both books, however, the concept of materialism remains blurry. Wallace notes what materialism isn't: the ancient 'atoms and the void' notion of the Greek philosopher Democritus, which is inconsistent with modern physics. But rather than clarifying what it is, he uses materialism as a placeholder for his dislikes — variously, a nihilistic rejection of moral values, a desire for more possessions and the denial of consciousness and the mind altogether. A more explicit statement from Wallace about what he is rejecting would have given his manifesto more muscle. Read the full review here (you may need subscription to access the article).